We love organic, all-natural products and are here to spread the word about them this Holiday season. Our gift guides have our all-time favorites put together for you – Social Nature tested and approved. 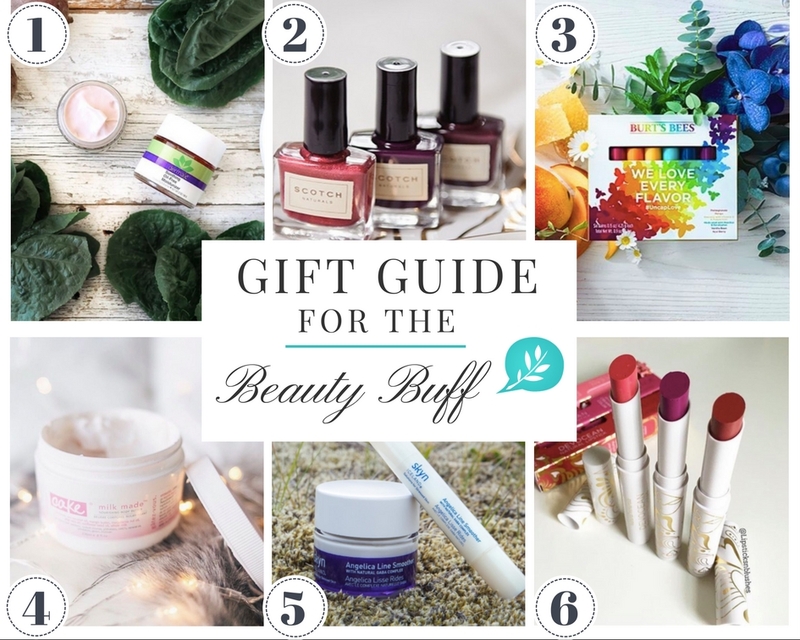 If you’re looking for gift ideas for those in your life that like to take a more pure approach to their beauty routine, products with chemicals and can’t-pronounce-’em ingredients just aren’t going to cut it. Here are 6 great options for you to consider, or add to your wish list (wink wink!). 1 – Derma E Hydrating Night Creme: This 100% vegan moisturizer just smoothes onto your skin, keeping it hydrated all night while you have your beauty sleep. The vitamin rich, all-natural formula will give you visible results – over night. 2 – Scotch Nail Polish: So many colors to choose from, there’s one for every style. Also a plus: completely free of toxins this nail polish is especially great if kids are around. 3 – Burt’s Bees Lip Balm: Keep everyone’s lips soft with all the different flavors in one set. Made with natural ingredients, sustainably sourced, this is the perfect gift for your nature loving friend. 4 – Cake Milk Body Butter: To die for scented body butter that will keep the whole body smooth and hydrated. We love to smother ourselves with this after a body scrub to lock the moisture in. 5 – Skyn Iceland Serum: We love this line smoother pen! It makes our skin feel refreshed and ready for the day. It pairs really well with their Broad Spectrum moisturizer, too. 6 – Pacifica Lipstick: A full color, 100% vegan, hydrating natural lipstick that lasts with intensity, like the deepest love. Our favorite color? The “Tenderness” one – it goes so well with every outfit. CONTEST ALERT: We’re giving away the pamper-yourself Derma E Beauty Gift Set. Winner will be announced Dec 20th on our social media channels. ← Natural gift guide for Foodies + WIN our favorite gift! My sweet daughter Ashlea, would love to be pampered w/ all these fabulous products…what a treat!…She is about to become a new mother…so this would pamper her too…thank you all for having this ! My body and soul needs these products. My skin is so sensitive. I would love to be pampered in luscious lotions, serums, and rich long lasting lipsticks. Shared Everywhere Very beautiful giveaway Happy Holiday @SocialNature Wishing Everyone That Enters Good Luck !! !